HILCIA!!! Were you sending me subliminal messages? Because I just started reading The Rift Walker last night! Great minds and all that. Anyway, I'm a little disappointed to see the C grade, but I'm still optimistic that I'll enjoy it. I tend to be less critical than my beloved book buddies so there is that. lol! And maybe now that I read your review I'll be a little more prepared for the pace. Christine, we were on the same rift or wave length. LOL! Leslie, as you can see I enjoyed Heart of Steel more than The Rift Walker. 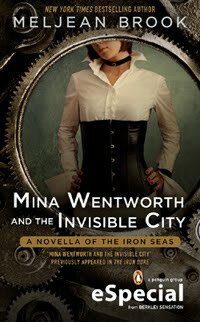 Heart of Steel didn't deter me from reading the next installment in the Iron Seas series, thankfully, and for me a B- still means a "very good" read. I loved Riveted. So the third book is going to be the last of the Vampire Empire series? I've heard so much about it, I'm going to try to read it soon. If it's truly a complete trilogy, the better for me LOL. Heart of Steel I have in my TBR pile, but I don't know, I'm just not feeling it. 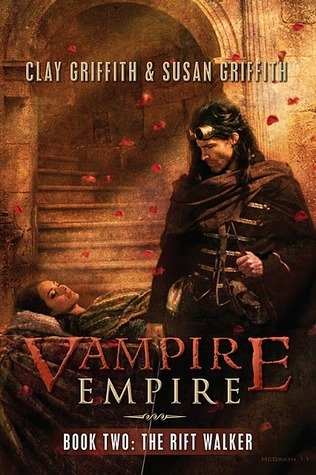 Nath, it is my understanding that Vampire Empire is a trilogy and I checked it out at the authors' website. They comfirmed that. However, who knows? You know how that goes... lol! As far as Scarsdale goes, I got the heads up from someone at Goodreads that Brook plans to write a story for Scarsdale, so it seems as if you and I will get our wish on that front!